Steve and Josh had incredible games to carry the Ham Slams, as they combined for 11 hits. 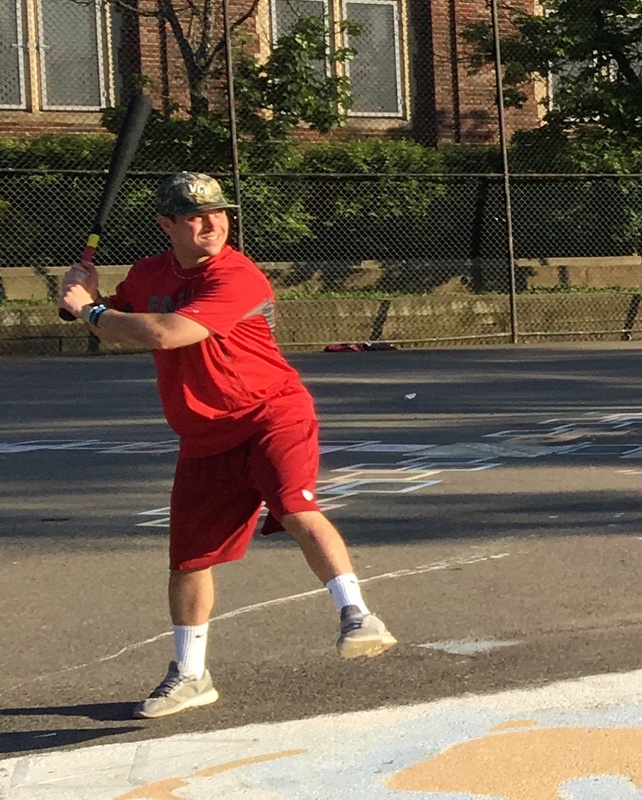 Steve hit four home runs, including two in the first inning, and drove in seven runs as the Ham Slams jumped out to a big lead against Eastbound & Dahn and ran away with a 14-5 win. Josh pitched the complete game win for the Slams while also hitting for the cycle, and Tom had four extra-base hits, including three homers. Things got off to a good start for Eastbound & Dahn, as they took a lead in the top of the first right away. Mark started the game with a double, and Nate followed with a two-run homer. Josh retired BK and Helal to end the inning, and Eastbound had taken a 2-0 lead in the top of the first. The lead didn’t last long, and the Ham Slams had a monster inning in the bottom of the first. Dustin tripled off Helal to start the inning, and Tom tied the game with a two-run homer. Josh then doubled, and Steve followed with another two-run jack for the Slams, making the score 4-2. After a Dustin single, Tom doubled to put two runners in scoring position. Josh then hit a three-run blast, the third Ham Slams homer of the inning, and they were up 7-2. Steve then homered for the second time in the inning, and the back-to-back jacks put the Hams Slams ahead 8-2 before Eastbound had even recorded an out. Helal finally got the first out of the inning when Dustin flew out to the mound, but the Ham Slams weren’t finished. Tom hit another solo homer, the fifth homer for the Ham Slams in the first inning, and the lead was 9-2. Josh followed with a single, the tenth Ham Slams hit of the inning, but the enormous inning would end there, as Helal got Steve to groundout to center, stranding the runner and ending the inning. Josh cruised through the top of the second, retiring Mark and Nate in order. Dustin led off the bottom of the second with a double, but the Ham Slams couldn’t put together another big inning. Helal retired Tom and Josh, ending the inning without further damage. Eastbound added a run in the top of the third, cutting the deficit to six runs. Helal tripled with one out, and Mark drove him in with an RBI single that made the score 9-3. Joshn then retired Nate to end the inning. The Slams got the runs right back in the bottom of the third. Steve led off the inning with his third blast of the game, a solo shot that made the score 10-3. Two batters later, Tom hit his third round-tripper of the game, and the Ham Slams led 11-3. Josh singled, and Steve drove him in with an RBI triple. Helal retired Dustin to end the inning, stranding Steve at third, and the Slams had made the score 12-3. BK doubled to start the top of the fourth, but Eastbound couldn’t plate the run, as Josh retired Helal and Mark to end the inning. The Slams would add two more to their lead in the bottom of the fourth. Josh tripled with one out, completing the cycle, and Steve drove him in with a two-run homer, his fourth of the game. Dustin singled, but Helal retired Tom to end the inning, and the Slams lead 14-3. Eastbound cut the deficit to ten runs in the top of the fifth when Mark hit a one-out solo homer, making the score 14-4. Josh then retired Bk to end the inning. Helal got Josh to fly out to the mound for the first out in the bottom of the fifth, and when Steve tried to turn a triple into an inside-the-park homer, which would have been his fifth of the game, he was caught out between third and home, ending the inning. For the second consecutive inning, Mark hit a one-out solo homer, and Eastbound had cut the score to 14-5 in the top of the sixth. But they couldn’t rally, as Josh retired BK for the second out, ending the inning and the game. 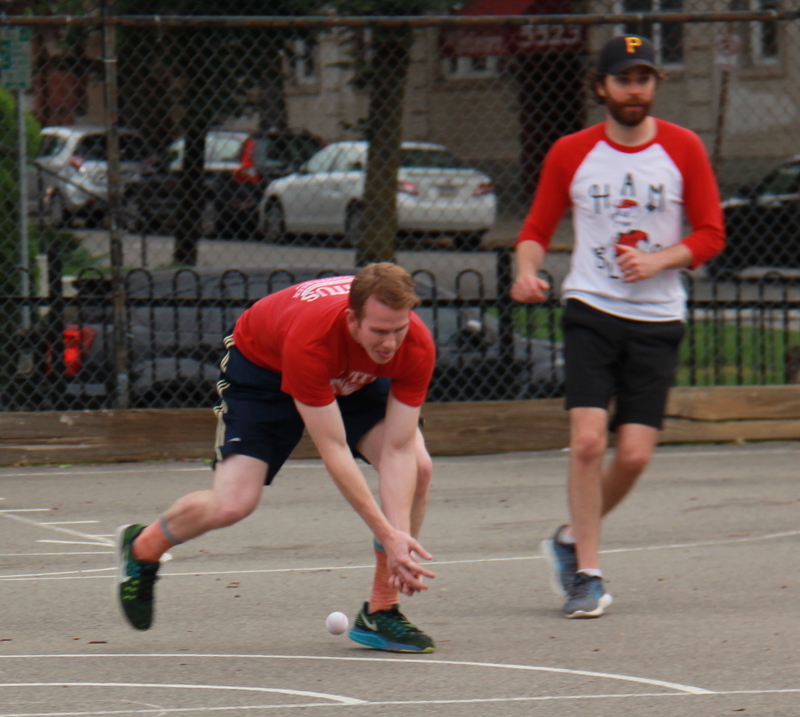 The win moved the Ham Slams to 2-4 on the year, and the loss dropped Eastbound & Dahn to 2-4. 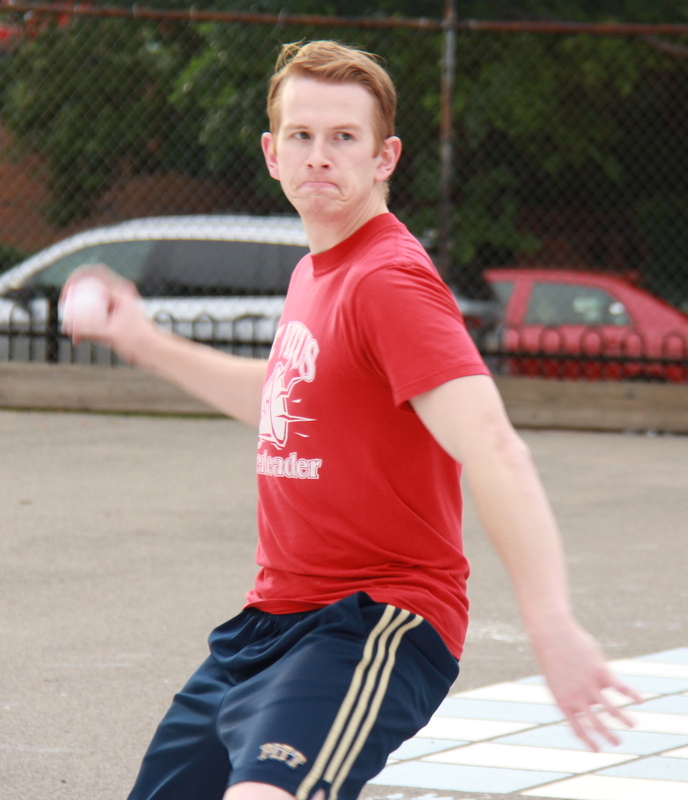 – Josh pitched the complete game win for the Ham Slams, allowing five runs on seven hits. – Helal took the loss for Eastbound & Dahn, giving up fourteen runs on nineteen hits. – Josh also hit for the cycle, going 5-for-7 with two singles, a double, a triple, a home run, four runs scored, and three RBI. – Steve had six extra-base hits for the Ham Slams, going 6-for-7 with two triples, four home runs, four runs scored, and seven RBI. – Tom went 4-for-7 for the Slams, with a double, three home runs, four runs scored, and four RBI. – Mark led Eastbound & Dahn on offense, going 4-for-6 with a single, a double, two home runs, three runs scored, and three RBI.